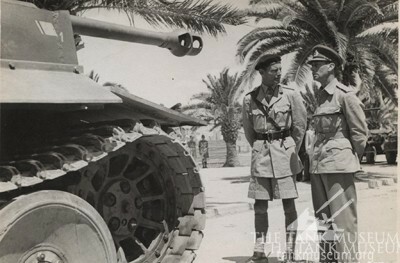 British forces disabled the infamous tank in the Tunisian Desert in 1943. It was the first example of the fearsome new German machine to be taken intact by the Western Allies. Such was the importance of the seizure that Prime Minister Winston Churchill and King George VI inspected it in North Africa. A ‘lucky’ shot had wedged itself in the turret mechanism, causing it to jam. 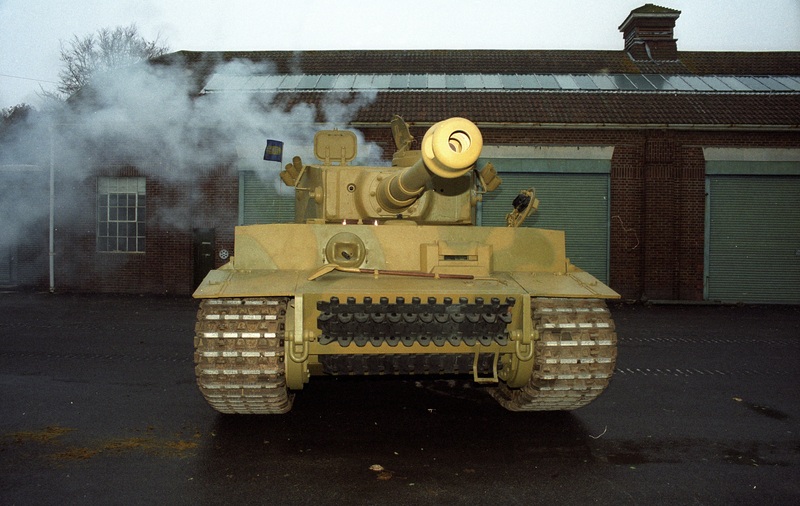 The crew were said to have panicked and fled, leaving the largely undamaged tank to be recovered from the battlefield. In the photograph above, British troops pouring over a recently captured Tiger 131. A Churchill tank is seen in the background. 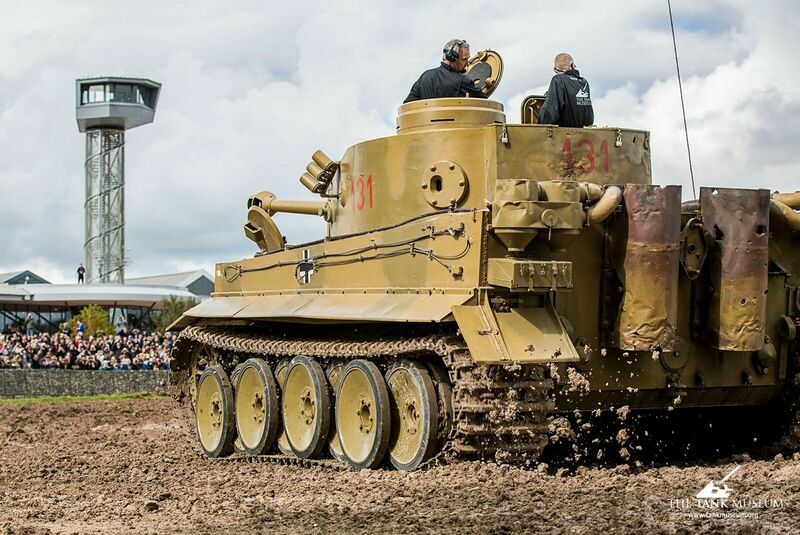 Tiger 131 was shipped to the UK and underwent extensive evaluation led by Lt. Peter Gudgin at The School of Tank Technology, who had himself been recently fighting Tigers in Tunisia as a troop leader with 48 Royal Tank Regiment. 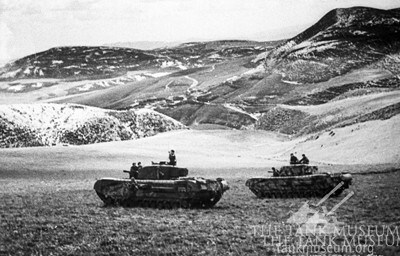 On 21 April 1943, Lt. Peter Gudgin was knocked out of his Churchill tank whilst taking part in an attack at Djebel Djaffa. 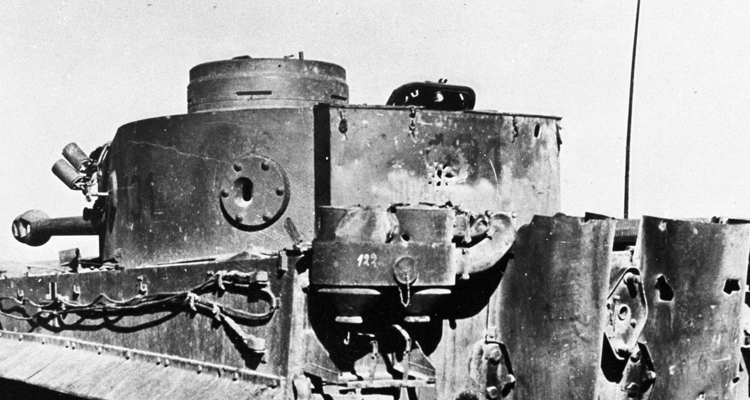 An 88mm shell probably fired by a Tiger penetrated the frontal armour of his Churchill, but he and his crew were able to bail out with minor injuries. 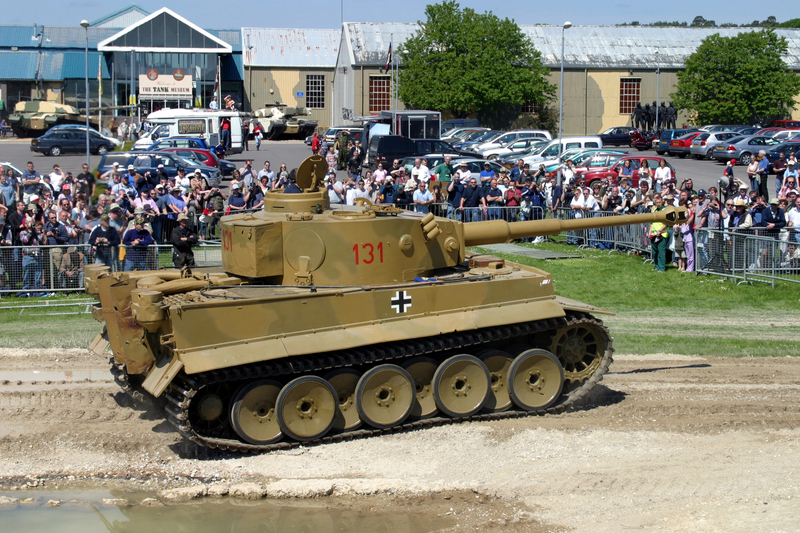 Among them was a “Pz Kw Mk.VI”, generally referred to as a Tiger I. 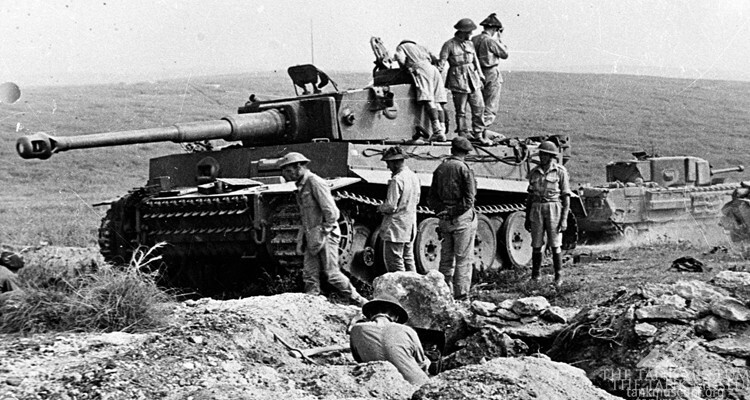 Throughout the rest of his life, Gudgin believed that the Tiger tank abandoned on his objective at Djebel Djaffa was Tiger 131. He was certain that the same tank that knocked him out was the same tank that he spent the rest of his war evaluating – and that it was a 6 pounder round from a Churchill tank from his squadron that did the damage to Tiger 131 that day. It’s a story that gained wide spread circulation during the 1980s through Gudgin’s published work and was adopted as fact by The Tank Museum thereafter. 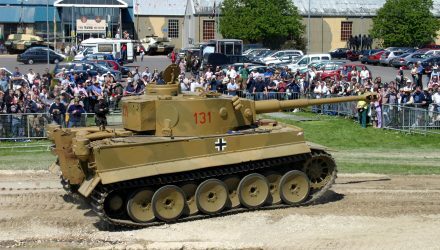 But research undertaken independently by retired Civil Servant Dale Oscroft, and published on www.tiger1.info, has convinced The Tank Museum to take another look at the evidence – and amend the story. Click here for Part II –The Sherwood Foresters’ Baptism of Fire. 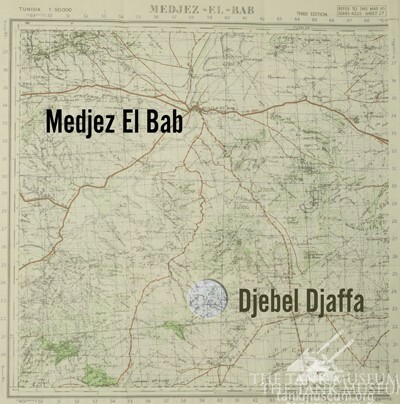 Dale Oscroft for his research, David Byrden of tiger1.info for his photo analysis & Mustapha Ben Rejeb visiting the battlefield and taking photos of the geography.